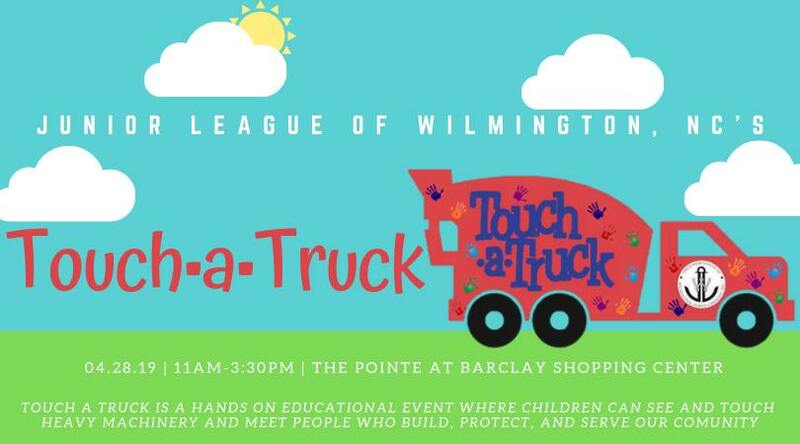 Touch a Truck is an educational community event that will provide children with a hands-ON opportunity to see and touch heavy machinery and meet the people who build, protect and serve the Wilmington community. Kids of all ages will be able to explore vehicles like a fire engine, cement truck, school bus, tow truck, weather truck, bulldozers and so much more (more than 50 to be exact, but who’s counting…). Touch a Truck will have plenty of activities for children of all ages including games, bouncy castles and music. First hour is horn and light free. Proceeds from this event support the Junior League of Wilmington’s mission of improving our community and developing our members as trained volunteers. Be sure to follow the event on our Facebook page for additional details about the event and also locations for advance tickets. We hope to see you, your friends, family and neighbors for a fun, hands-on event! Thank you for your support!